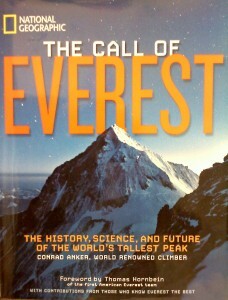 Our friend, the veteran mountaineer Conrad Anker, is the author of the latest National Geographic book on Mount Everest, covering the earliest days of attempted assaults on the peak to the latest climbs including the expedition that included Mayo Clinic's research team. 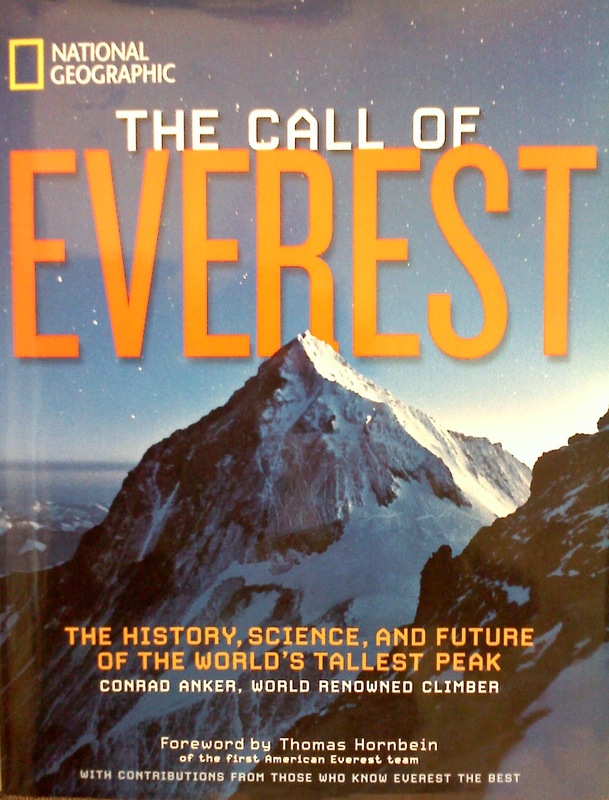 One of the chapters in The Call of Everest is penned by the head of that scientific team, Bruce Johnson, Ph.D., the Mayo physiologist who has spent a career studying human responses to extreme conditions. "Why does a Scientist Transport Hundreds of Pounds of Equipment on the Backs of Yaks and Porters to set up a Research Laboratory on Mt. Everest?" ( I think it would be a great Jeopardy question.) In addition to some photographs of our team at work taking readings from the climbers who were attempting to summit last year (and succeeded), the chapter also contains several excellent scientific graphics by Mayo's crack medical illustrators Bob Morreale and Joanna King. The book's publication comes almost exactly a year after the expedition's end and on the verge of the scientific publication of the huge amount of data and findings the team brought back. The first presentations of findings have begun at scientific conferences... and the first handful of papers will be submitted to journals over the next few days. Stay tuned -- the team says there was enough data from the Everest expedition to produce research articles for several years.